As classic as Coca-Cola… Introducing the classic Volkswagen Beetle! 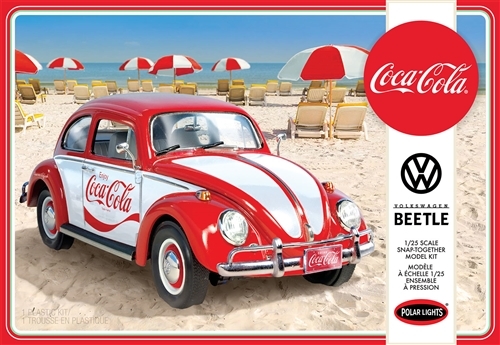 Done up right in red and white with authentic Coca-Cola graphics, this little Beetle is ready for the beach. The kit is loaded with options and extras making it so cool and refreshing you’ll be glad that you added it to your collection.